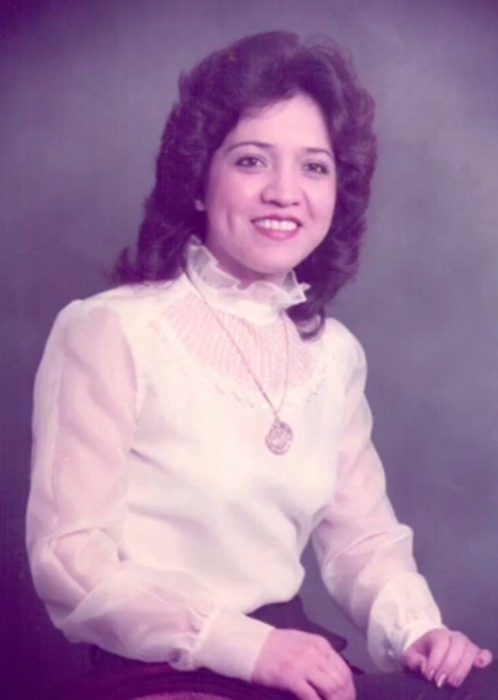 Consuelo Gutierrez, 68, passed away peacefully Thursday October 11, 2018. She was the beloved mother to her five children Maria De Jesus (Alejandro Rodriguez), Jaime Gutierrez, Albert Gutierrez (Rocio Gutierrez), Bruriah Horowitz (Gil Horowitz) Christine Marquez (Luis Marquez) and was a loving grandmother to ten grandchildren who knew her as “Mama Chelo”; Consuelo (Connie) A. Perez, Alejandro Rodriguez Jr., David Perez III, Angelina L. Marquez, Logan L. Marquez, Gianna A. Marquez, Albert Gutierrez Jr., Jesus Gutierrez, Jacquelyn Gutierrez and Abraham Gutierrez. She was preceded in death by her late husband Jesse Gutierrez (died 1983) . She was a wonderful, generous, loving wife, mother, grandmother, daughter and sister. She touched the lives of every person she came across. She had the biggest heart and was completely selfless. Her favorite thing to do was to cook and she never let anyone leave her house hungry. She will be missed greatly and will always be in our hearts.